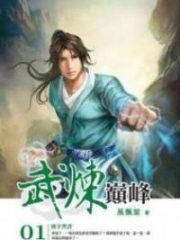 You’re reading novel Chaotic Sword God Chapter 1038: Kara Liwei online at LightNovelFree.com. Please use the follow button to get notification about the latest chapter next time when you visit LightNovelFree.com. Use F11 button to read novel in full-screen(PC only). Drop by anytime you want to read free – fast – latest novel. It’s great if you could leave a comment, share your opinion about the new chapters, new novel with others on the internet. We’ll do our best to bring you the finest, latest novel everyday. Enjoy! Jian Chen had no idea how he should react when he heard this news. They had not seen each other for so many years, yet Quan Youcai was actually with Yang Ling. 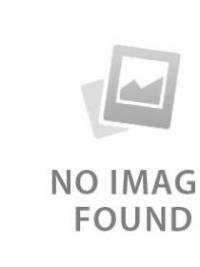 “Quan Youcai is shameless and feels unreliable sometimes. He would stick to me all the time and constantly chatter without end. While Yang Ling’s a quiet person. He’s simple and honest, so it sure would be interesting if the two of them are together,” Jian Chen thought inside. 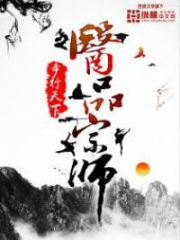 Very soon, the burly Yang Ling was brought over by some people, and following him was the white-robed Quan Youcai who bore a detailed, blue badge on his chest. “Ah! Teacher, grand elder, the two of you are here as well. Quan Youcai greets teacher and the grand elder.” Quan Youcai only just seemed to have noticed the presence of the president and grand elder. He immediately stopped acting in such a joking manner and greeted the two of them courteously. After failing to fuse with the origin energy of Radiant Saint Force, he was taken on as a student of the president. However, his ident.i.ty was nowhere near as great as Jian Chen and Yun Tian from before, who were disciples of the president. His relations.h.i.+p with the president was more akin to teacher and student. Quan Youcai admired the president and grand elder greatly inside. He immediately became well-behaved before the two of them, standing to one side obediently and quietly. He would always stare at Jian Chen, wanting to say something but holding back while the president and grand elder were present. Jian Chen also became cheerful when he saw his acquaintances of the past. Although Quan Youcai and Yang Ling could not be considered life-and-death comrades, they were still friends that had once accompanied him. “Quan Youcai, let’s talk about the old days later,” Jian Chen smiled at Quan Youcai as he stood there obediently. Quan Youcai nodded firmly. He only gave a small reply and did not say anything else as he glanced at the president and grand elder in an annoyed manner. Jian Chen looked to Yang Ling. He examined him in detail. After being separated for ten years, Yang Ling was exactly the same as before with no changes whatsoever. “Yang Ling, it’s been several years since we last met. How have you been in those years?” Jian Chen smiled. “Yang Ling, you can just call me Jian Chen. Jian Chen is my real name,” said Jian Chen. “Yes, master Jian Chen,” Yang Ling clasped his hands as he replied. He was just as polite as before. Jian Chen sat back on a large, comfy couch as he stared at Yang Ling in interest. He said steadily, “Yang Ling, have you ever hated me?” Jian Chen treated Yang Ling with great importance. Yang Ling’s status in Jian Chen’s heart had far exceeded Quan Youcai’s, or even a few ordinary friends’. Back then on the ferry on Fragrance River, he faced the a.s.sa.s.sination attempt of the eight clans. Yang Ling was even willing to sacrifice his own life to protect Jian Chen and let him flee, which deeply touched Jian Chen. “Yang Ling dares not!” Yang Ling completely treated himself as a servant, possessing no pride as a Heaven Saint Master. He spoke extremely politely. “Yang Ling, do you still remember my promise back then? I once said to you that I will help you out given the chance. I will be following through with what I said now. Are you willing to follow me and become a Saint Ruler?” Jian Chen swore. He was extremely confident in allowing Yang Ling reach Saint Ruler. Yang Ling’s eyes immediately lit up when he heard about becoming a Saint Ruler. He ravished with joy, but the light in his eyes soon darkened. He glanced at the president of the union. “Brother Jian Chen, we’ll give Yang Ling to you. From now on, he is your person. The union will no longer interfere with anything he does.” The president expressed his position on Jian Chen once again. With Jian Chen’s current status and strength, the union could only obediently abide even if he wanted to take someone away from the union. The president accepted the box from the elder and then slowly opened it. Three white, fist-sized rocks lay peacefully inside. They were all cubes and were transparent, like some type of high quality jade. “Brother Jian Chen, these three rocks are known to us as Flaming Jadeite. It’s an extremely rare rock on the continent and cannot be found easily. Each piece is invaluable and extremely hard to find or purchase within the markets. The rock can store energy, and the power of the energy it can store depends on its quality. If a Ninth Heavenly Layer Saint Ruler poured his power into it, even an ordinary person would be able to unleash a strike from a Ninth Heavenly Layer Saint Ruler with the rock. This would apply to Saint Kings as well. The three Flaming Jadeites in my hand right now are of the highest quality and are completely able to store the power from a Saint King at Great Perfection. Brother Jian Chen is someone with a family, so I’d like to gift these three rocks to brother Jian Chen hoping that it can help out brother Jian Chen a little,” the president brought the box before Jian Chen before pa.s.sing it to him. Jian Chen could not help but think back to when he first took part in the compet.i.tion within the artifact spirit after hearing the president’s explanations. A Cla.s.s 6 Radiant Saint Master of the Zaar family had brought in a wondrous rock from outside and used it to dish out the strike of a Saint King. By the looks of it, the rock should have been a Flaming Jadeite that the president had just told him about. “I thank the president for his grand gift.” Jian Chen did not turn it down. He happily accepted the three rocks. The rocks could store the power of Saint Kings at Great Perfection, which meant that even ordinary people could produce a strike equal to Saint Kings at Great Perfection with the rock given that someone had poured energy into it beforehand. This was a valuable treasure to Jian Chen. Jian Chen stayed at the union for one whole day. He spoke a lot with the president and grand elder and had even mentioned Yun Tian in their conversations. 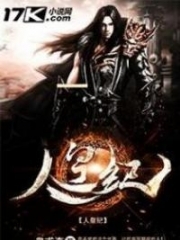 However, Jian Chen learned that Yun Tian had disappeared. Even when they used a secret technique to scour the continent, they failed to find his tracks. By the time Jian Chen left the union, the sun had already set and darkness had descended, filling the entire world. Everything had been blanketed by the darkness of night. “Brother Jian Chen, it’s been ten years since we last met, and who knows how long it will be until we meet again. Tonight, everything’ll be on me. I’d like to invite you to the most famous ferry of Fragrance River. Will brother give me that honor?” Quan Youcai laughed. He had returned to his jolly mood like before once he left the union. Jian Chen did not turn down Quan Youcai’s suggestion. He took a horse carriage to Fragrance River outside the city with Quan Youcai and the silent Yang Ling, as well as Hei Yu and Hong Lian. 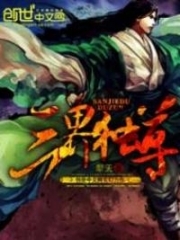 Rui Jin, on the other hand, had entered the saint artifact with the Flaming Jadeites Jian Chen had obtained from the president to pour energy into them. Meanwhile, the four protectors of the Bloodsword sect had been dismissed by Jian Chen. Jian Chen could not help but close his eyes as he sat in the rocky carriage. In that moment, his heart had become tranquil which rarely happened. He felt like he had returned to before, back to when he was an esteemed Cla.s.s 6 Radiant Saint Master. That night, Quan Youcai had paid the price. He booked the most famous ferry of Fragrance River, costing him several hundred thousand crystal coins. However, that was nothing to a Cla.s.s 6 Radiant Saint Master. The ferry rode through the wind and waves at night as gentle music played. Floating on the river, the two banks danced with lamp light as the sound of activity buzzed. This was the liveliest place every night, the place where aristocrats would gather. On the deck, Jian Chen, Quan Youcai, and Yang Ling toasted and drank heartily. They talked about everything while even the cat-sized white tiger had been let out of the artifact spirit. It was currently tasting and eating the various delicacies on the table. You Yue remained in the artifact s.p.a.ce, using many low cla.s.s magical beasts to increase her strength. She possessed the secret protection of the artifact spirit, so Jian Chen did not worry about any dangers that would threaten her life. Hei Yu and Hong Lian had followed jian Chen along, but they had no interest in partic.i.p.ating in something like this with their age. They sat at the rear of the s.h.i.+p as they rested with their eyes closed. A white strike of light tore through the dark night sky, traveling to the ferry where Jian Chen was. Afterward, it slowly landed on the deck. Jian Chen, Quan Youcai, and Yang Ling all looked at the uninvited person. It was an alluring beauty in a white dress who seemed to be in her twenties. “Yang Yutian, you’ve disappeared for ten years. You’ve finally decided to come back,” the beauty smiled gracefully as she made her way elegantly up to Jian Chen. “I never thought that it would actually be miss Kara Liwei. Even after so many years, miss Liwei is still as beautiful as before with no change through the years,” Jian Chen smiled back at the lady. 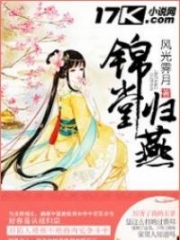 She was the young lady of the Kara clan, Kara Liwei. 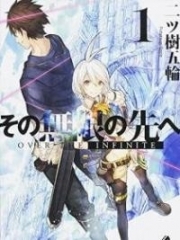 You're reading novel Chaotic Sword God Chapter 1038: Kara Liwei online at LightNovelFree.com. You can use the follow function to bookmark your favorite novel ( Only for registered users ). If you find any errors ( broken links, can't load photos, etc.. ), Please let us know so we can fix it as soon as possible. And when you start a conversation or debate about a certain topic with other people, please do not offend them just because you don't like their opinions. 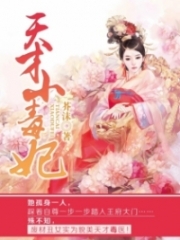 You're reading Chaotic Sword God Chapter 1038: Kara Liwei. This novel has been translated by Updating. 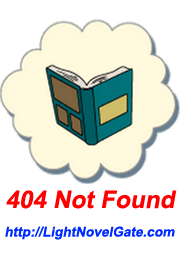 Author: Xin Xing Xiao Yao already has 8844 views. Current Time is Apr-22-2019 18:09:13 PM.